I did a quick survey on our blog, on Facebook, on Twitterand on several local garden discussion groups last week asking why more people don’t use rain barrels. Here are some of the comments with responses. Some of the responses provided are from Leah Lemoine , Environmental Protection Specialist from the District Department of the Environment, and are noted by an *LL. Response: Depending on where you live, you may be able to get a rebate to help cover the purchase price of your rain barrel. In DC, see the RiverSmart Homes site (“The RiverSmart Homes program offers homeowners up to two rain barrels for $30 each.” *LL) In Montgomery County, see Rainscapes Rewards; in Gaithersburg, Rainscapes Rewards; Rockville – Rainscapes Rewards. If you live outside of the Metro DC area, here's an easy way to look for rain barrel programs in your area. Use the search tool on USA.search.gov. Click on advanced search to find your state, and then input Rain Barrel or Rain Barrel Rebate. You may have to try other terms to find what you are looking for, but its often worth checking. Another place to try would be your local Cooperative Extension System Office. Another way to save money is to build your own. Rain barrels are fun and easy to build and there are many rain barrel workshops in the area: Northern Virginia Rain Barrel Registration . Other sources for empty barrels: NovaBarrel ; Low-cost barrels with spigots – Eagle Peak Containers, Inc.
Another option for low cost rain barrels or empty drums is tocheck CraigsList. They are usually listed under Farm+Garden but may also be listed under miscellaneous for sale. Making a rain barrel really only involves a few simple cuts with a drill and jig saw. If you aren’t comfortable with power tools, try calling your local hardware store and see what they will charge to make the cuts for you. Or ask that handy-man neighbor down the street or again, check on Craigslist. Response: You can really buy rain barrels to fit any type of garden décor. But here are some suggestions for how to decorate or hide a rain barrel. Response (from *LL) – “The chances of mosquitoes breeding can be eliminated by choosing a rain barrel carefully and by sealing connections during the installation. Mosquitoes tend to get into the rain barrels from the inlet and around the spigot and overflow. Response: Installation is pretty simple. We used a hacksaw to cut our downspout but here is a video of a woman who used her garden lops. http://tinyurl.com/3tt3ztn. Again, you might be able to find someone to help you on Craigslist and the video and instructions above do contain installation instructions. Also, Aquabarrel and probably other companies will install them for you, for a fee. 5th Comment: Pressure too low to run a hose. Time consuming and difficult to use them to fill watering cans and water landscape with watering cans. Response: I’ve never actually tried to attach a hose to ours. We use them primarily to fill watering cans. We also have a long PVC pipe that directs overflow to water loving plants. Also, Kit Gage, Co-Director of the National Capital Region Watershed Stewards Academy, had this suggestion. "The promotion for rain barrels should be primarily that they can be used by most homeowners to slow stormwater so it can infiltrate their lawn and garden rather than run off in a flash storm. People should be encouraged to have a hose at the bottom set on slow leak with the hose ending up in a place the rain can absorb – a rain garden or conservation landscape, or a tree that likes water (sycamore, river birch, etc), and they don't have to think about it." *LL added “Soaker hoses tend to work well with the barrels. 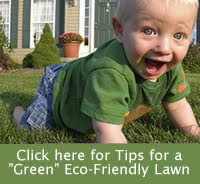 With the soaker hose you can just leave the spigot open and allow the water to drain over time into the planted areas. Note the rigid hoses work well with the rain barrels. These usually come in black. (The pressure in the barrel is insufficient to push through the green collapsible ones). There are also small solar pumps that can be used in conjunction with the barrels. Finally, elevating on cinder blocks or a platform helps with pressure." 6thComment: I’ve been waiting a long time to get mine from our local government program. Response: (From *LL for DC residents ) The RiverSmart Homes rain barrel installations are not taking place as quickly as we had originally planned. We apologize if the wait is longer than expected. If you have been audited in January of 2011 or later, your barrels will be installed this fall. If you were audited prior to January 2011 and have not received your barrels, give me a call as well and I will look into it. If you are waiting and would like to know how much longer the wait will be, feel free to call me (202-654-6131). "If you feel that you have not had any response from DDOE, please call me as well. We try very hard to keep communication open with all homeowners from enrollment, to the stormwater audit, through installation and post-installation." 7th Comment: HOA rules or landlord won’t allow them. Other products: During my research, I found other products that seem like they would help do the same job as a rain barrel, without taking up quite as much space, such as this Drought Buster Rainwater Distributor. My only suggestion before buying something like this is to read the online customer reviews.